After 20 years of very hard work, rendering us in effect ‘Professional Peasants’, McCarthy Park is looking good! 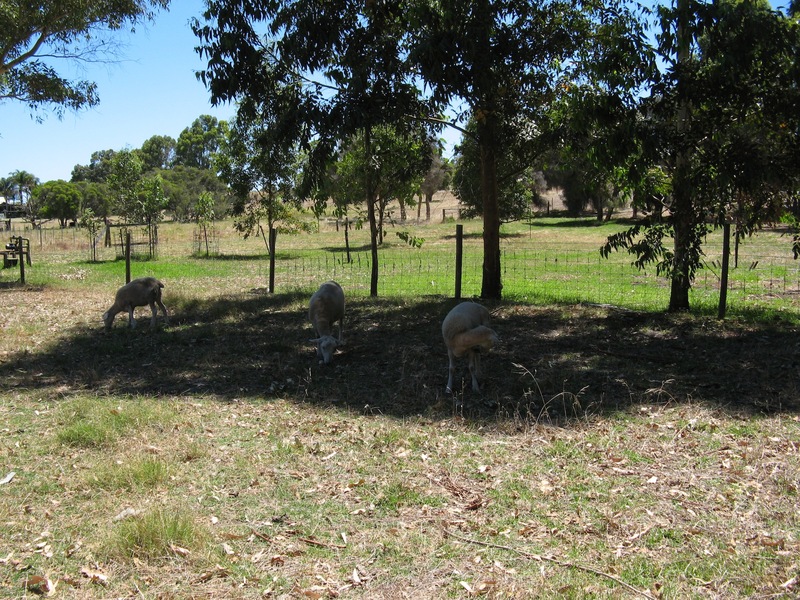 We have totally re-fenced the place, cultivated two and a quarter paddocks, made four ‘wildlife sanctuaries’, one around the annual dam/soak, another around the artificial ‘snake lake’, another around the ‘billabong’ and the other down the back has been left totally natural, though we do let the sheep graze it for a week or so to take out the introduced grasses. 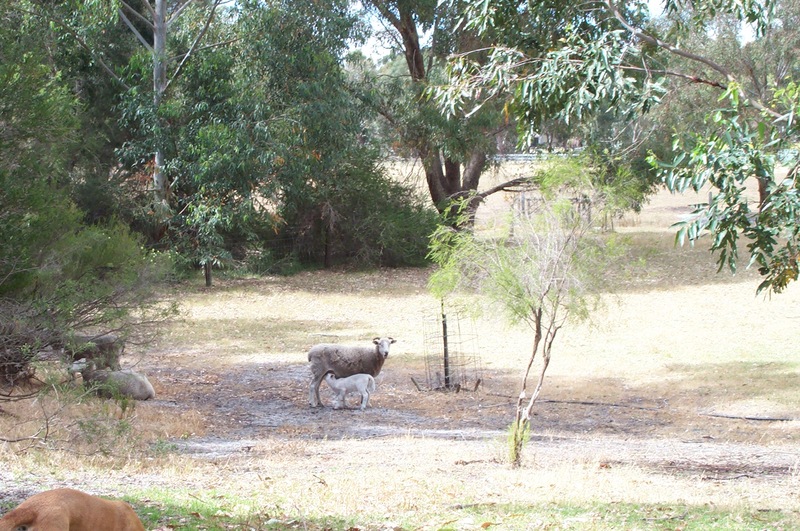 We have now planted a huge number of local native shrubs and trees to rehabilitate the bush land we have on the property, to add shade to the paddocks and to encourage the return of native flora and fauna. At the same time, we have experimented with a variety of animals that help us work towards our goal of sustainability. We currently have and breed ducks, poultry, sheep, (now Wiltshires) rabbits, turkeys and guinea fowl. We have fish in our swimming pool (previously barramundi in summer and trout in winter, currently Silver Perch), with the trout and barramundi now in our aquaponic system. We also have a large vegetable garden and two orchard areas also supply some of our food, and two beehives which supply us with honey and beeswax. 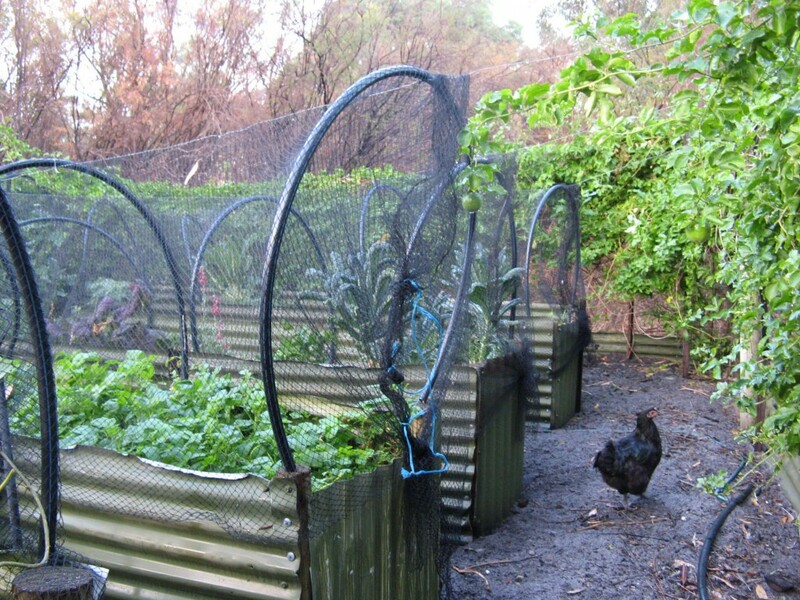 The ‘wagon wheels’ keep the chooks out of the garden beds but allow them to still wander around and keep the ground weed free. 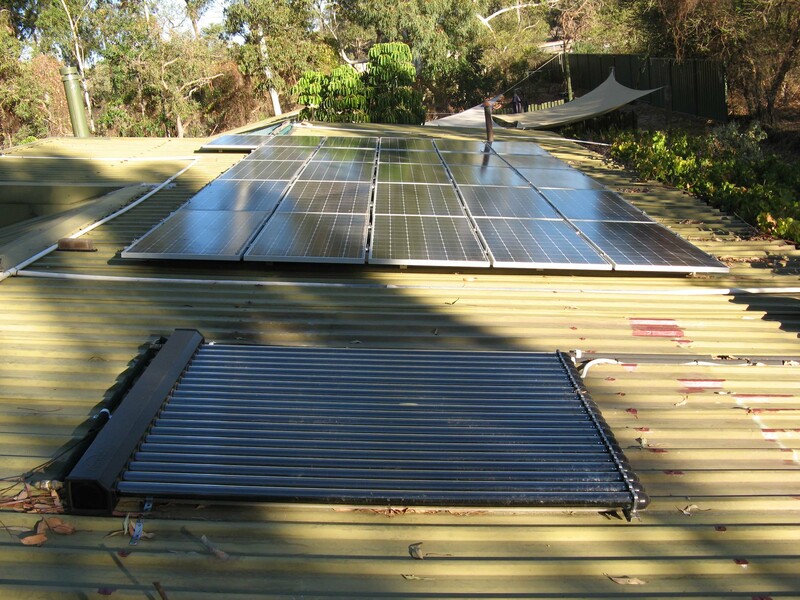 We have a solar hot water system and solar panels (26) to help in our goal towards sustainable living, though this does not cover all or our electricity usage (we do not have mains water supply so rely on pumps for all our water usage). As our children have grown up, money has become less of a problem and we have been able to afford other equipment that has helped us, such as a mulcher, ride-on-mower, and a modern tractor with implements. 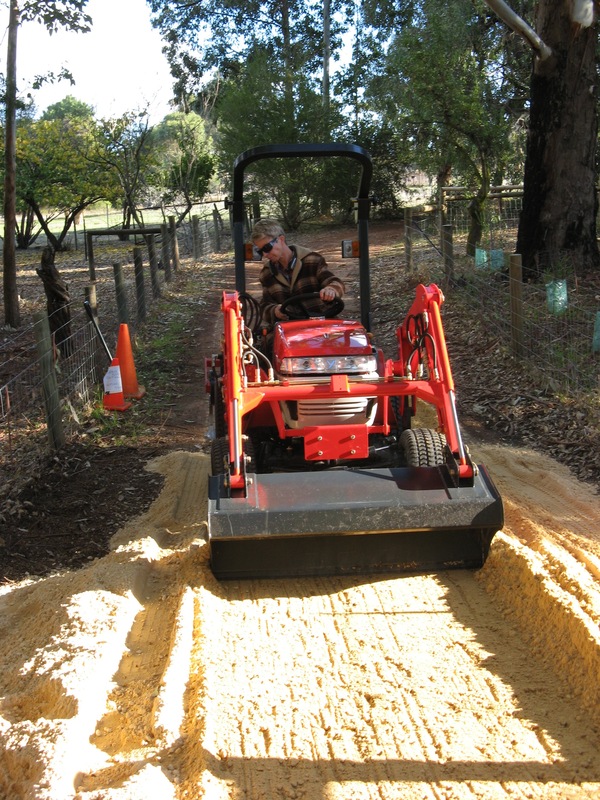 The tractor in particular (with bucket, ‘carry-all’, grass rake, ripper and slasher) has been a huge help! Where we did so much with wheelbarrows or the car, now we can use the tractor. Whether it is carting heavy stuff from one place to another or landscaping, it has certainly been useful! On top of caring for the animals (feeding and watering, putting away at night, repairing their runs &c &c), there are also a myriad of things that need doing. Setbacks can take many forms-trees lose branches, often covering tracks and breaking fences; roofs (house, rabbits, stables, &c) get covered in leaves—presenting a severe fire hazard, firebreaks need regular attention, irrigation systems regularly fail, something dies or escapes, bushfires etc. So even with all the aids, there is never ‘nothing to do’!